Ian Kimmerly Stamps is pleased to offer you our carefully selected range of stamps and services for beginner and expert philatelists. Use our boutique to browse different collecting areas and purchase items on-line. Stamps for collectors of Canada and Provinces, British Commonwealth and many other countries worldwide. Our Dutch Auction is your opportunity to pay what you want, when you want, for select items. Everything listed decreases in price week by week, and you can reserve an item for the price you are willing to pay. Choose the lowest price IF you are willing to wait for a few weeks while others have a chance to buy it for more. If you want it now, buy it at the current price. Items that did not sell remain on sale at the final price. A new batch of items uploaded each week. Selling Your Collection Sidney is at the north end of the Saanich peninsula about thirty kilometres north of downtown Victoria. I first attended a Sidney Stamp Club meeting in January and was asked to give a presentation on selling your collection and will do so at the April meeting. Cuba 1958 Nicolas Esperado "lyre" progressive proof My quick acceptance of the request reflected what had been my usual approach: jot down a few points to be made, organize them in a logical sequence, estimate the timing so I don’t talk too long, then when the presentation starts get up and retell anecdotes which illustrate the points, answer a few questions, and try to have an overall theme emerge on the subject. Preparation time about ten minutes. This time, I will take a different approach. My audience will include collectors with decades of high level experience and others unfamiliar with the jargon of our hobby. As I jot down the areas to highlight, a serious challenge will be to keep the introductory remarks to about ten minutes. I have a lot of experience buying collections. In my Ottawa store over the last few years we averaged just over two purchases a day. The store was open more than 9000 days (30.4 years times about 305 days) and including my active participation in auctions, that adds up to a total of more than 10,000 collections purchased. This experience gives me a perspective very useful in buying. But selling is a different matter. I have obviously sold a lot of inventory, but only three of my collections. My Newfoundland pre-Confederation postal history was sold to a customer in the late 1980s. I needed the money and both of us were happy with the transaction. My two collections of the postal history of P.E.I. 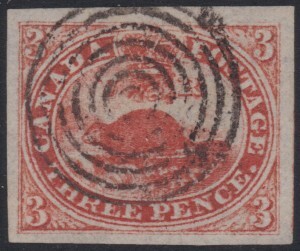 and Nova Scotia were fairly recently sold in separate transactions several years apart to the same respected postal history dealer. I set a price and the dealer paid. Both were very pleasant stress-free transactions. I believe that most collectors contemplating selling their collection do not expect "pleasant" and "stress-free" to be part of the equation. I will try in subtle ways to address that. Cuba 1958 Felipe Poet butterfly trial colour die proofs One approach I will try is a handout for the audience to fill in for their own personal use. In "bullet-point" form it will outline options and the ways in which a collection is desirable (or not) to a prospective purchaser. If this works, collectors should have a better idea where their own material best fits into the options available. Putting together my thoughts on all of this is taking much more time than I would have ever allowed back in the East. This is one of the advantages of semi-retirement! Trips in the past weeks have brought most of a cold winter week in Ottawa for the successful Sparks Auctions and a trip to the interior of British Columbia where I viewed six collections in a day and a half. Activity at local stamp clubs continues to be interesting. In January at the Greater Victoria I gave a mini-presentation of the development of thermo-graphic printing of stamps by the Fernandez printing firm in Havana and show some scans from that presentation, and in February a very brief talk on diverse Denmark items. Coming up is Egypt, British Forces in Egypt, and the Suez Canal. April with letter "F" has many possibilities. Also coming up are Victoria’s biggest show and bourse on March 14th and 15th, Vancouver’s biggest on the 20th and 21st, and the Edmonton Show the following weekend. I hope to meet many friendly collectors in each location. What is B? There cannot be too many places in the world where a stamp collector can attend four club meetings within six days. In Victoria two clubs meet weekly and two meet monthly and six days apart. We didn’t plan it especially, but we are centrally located with the furthest club meeting less than three kilometers from home. Thursday night at the Vancouver Island Philatelic Society, in addition to an auction, there was an interesting slide show on the RAF Ferry Command. Starting in 1940 Canadian bush pilots and other civilians were recruited to fly (or ‘ferry’) warplanes from North America to Britain, and later to many other parts of the globe. The postal history generated from Ferry Command is challenging and fascinating. Of more general interest was the vignette account of crossing the border with warplanes between neutral USA and Canada at war. The crossing between Maine and New Brunswick was effected by temporarily blocking the highway, having the warplane land on the highway, towing it across the border, then taking off on the highway. The only other crossing was at Pembina south of Winnipeg. Here, after the plane landed, the soft soil foiled the trucks, then the farm tractors. Finally it was up to the horses to pull the warplanes across the border. The Muffin Break is a pleasant social event every Tuesday morning. Attendance usually exceeds the turnout at the monthly Club meetings. Part of the success might be explained by never having had a Chairman, President, membership, program, Agenda, dues, bank account or any of the other detrita of our modern, organized lives. Before the November Friday night at the Greater Victoria Philatelic Society, the website announced Remembrance Day and The Letter A. I went with visions of Sesame Street but was very pleasantly impressed with the concept of The Letter A. Approximately ten of the members brought in Exhibits ranging from one to eight pages dealing with either the theme or the letter A. Some, like the Australia pages, dealt with both in a topical showing. More interesting in some ways is that each Exhibitor came forward to explain and add details to his or her Exhibit. Some were inventive, such as a postal history page well written up which showed an Airmail envelope, carried by the US Army postal service, mailed from Anchorage, Alaska — so A to the power of four. A few days later at the Muffin Break someone commented on how boring Bulgarian stamps were. The light flashed and I have just the items to disprove the comment next month. At home, the mountain (well, small hill) of cartons of stamps is slowly becoming organized. One conversation led to a want list of early Norway. In the next few days I need to organize my early issues, paying particular attention to trying to identify the four types of the 1863 Arms type. Eventually the results will be on the internet. Drifting… I will always cherish my philatelic experiences in Ottawa, yet the welcome and camaraderie extended by stamp collectors in Victoria has been overwhelming. Talking with collectors is always pleasant. And I am not ignoring the buying part of the equation: only two items at the Vancouver Island Philatelic Society Club Auction; viewing and bidding on the Weeda Bidboard Auction (less successfully then I had expected as there were many strong prices realized); our first Express Post delivery in Victoria contained a box with hundreds of items needing attention including a block from the Jack Wallace collection of British Columbia. The last few weeks have also meant visits with my cousin, three of my brothers, and especially my mother who, during her final decline, is cheerful and rallies especially with a visitor. Our trusted car remains in Bow Island. The last needed part arrived today, 31 days after it was ordered. Inevitable snow and icy conditions while driving two days through the mountains is a daunting and frightening task ahead. 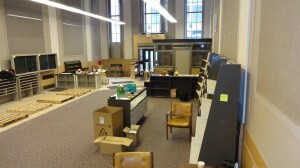 Our furniture, expected on a Friday, arrived the following Wednesday and we are mostly settled. Pictures are not hung because we will be painting a number of rooms and many dozens of cartons await the arrival of bookcases we have ordered. Setting up my Office, well, my Stamp Den (actually a room with rows and stacks of boxes crowding out most of the useable space!) has played second fiddle to answering emails and quiet reading. In terms of re-establishing a thriving stamp business, progress has been slight, and my attention has been drifting elsewhere…. Then learning there was a table available at the bi-monthly Victoria Stamp and Postcard Fair this Sunday became the needed catalyst. There are a few days left to prepare quality stamps to offer those attending the bourse. Many collectors are unaware of the amount of time needed to grade then properly describe and price stamps or covers. It means that I’m back to work at last! 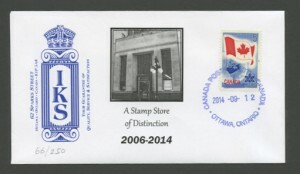 In 1984, Ian Kimmerly opened his stamp store at 90 Sparks Street in Ottawa. With the exception of two years on Catherine Street near the Ottawa Bus Terminal, Ian has always remained on Sparks. But now that the store at 62 Sparks Street has closed, and Ian moves on to a new life in Victoria, BC, he nevertheless remains an active stamp dealer. This site is where you can continue to find the most up-to-date news about his activities and ventures. For the first week of October, Ian will complete the task of packing up material that is to be shipped west, and attending to a few other business details in town. 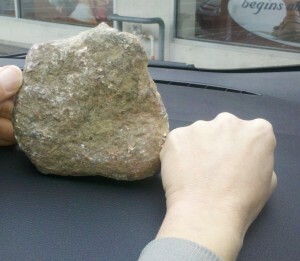 The week of October 6th, Ian & Elizabeth will begin a leisurely drive across Canada to their new home. Once established in Victoria, Ian expects to be a regular at stamp shows and clubs in the west, and to continue to purchase and sell material. This website will continue to host an internet store, and selected material will be sold on eBay and other internet avenues. Ian continues as President of Sparks Auctions , which has moved to new premises at 1550 Carling Avenue, Suite 202, Ottawa. He expects to return to Ottawa for future auctions, and of course for ORAPEX in May. With the luxury of time now that he no longer has the day-to-day distractions of running a retail store, Ian is looking forward to making regular posts to this blog as he did when it began in 2006. He will start off with some updates from the road as he and Elizabeth make their journey west. Happy Stamping! -Ian Kimmerly Stamps PS: Local Ottawa stamp collectors will not have to wait long to find a new place to meet, add to their collections, purchase supplies, and continue to pursue their philatelic interests. Friend and colleague Chris Green’s new shop on Second Avenue at Bank Street will be opening on October 1st. See his website for more details. We wish Chris the best of luck! Still a few more items have been added to our inventory in this the twilight of Ian Kimmerly Stamps’ days at 62 Sparks Street. 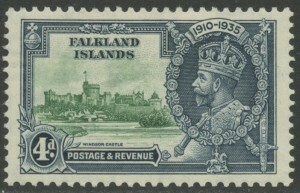 A significant amount of Falkland Islands material has been added. 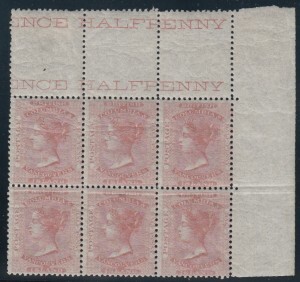 Selected mint and used Canada stamps have been added as well. In light of our imminent closing of the store, we have focused more energy on putting collections of stamps out for sale, many of which have not seen the light of day for years. For the bargain hunters we have assembled dozens of box lots of varying prices chock-loaded with philatelic delights. With the amount of material we have been diligently adding to our already generous inventory of quality stamps, one would not think that we were closing our doors for good in just eight short days. Better used and mint Canada have been added. 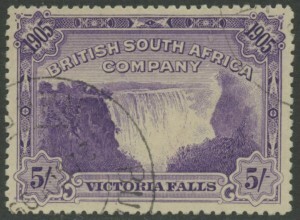 The ever-popular area of British Commonwealth has been added to, most notably quality early Britain in both mint and used. 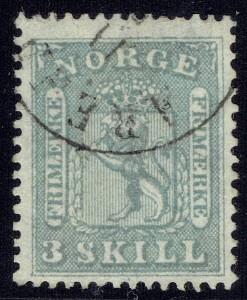 Stamps from the Pacific region have been added as well. 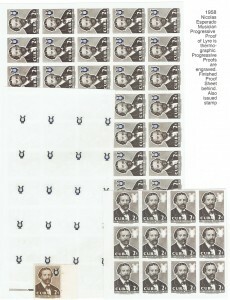 We are still adding plenty of stamps to our inventory. Worthwhile Canada material, both mint and used is always being added. British Empire and Commonwealth, very popular areas for us, have been added to extensively. For these areas British Caribbean, Australia and New Zealand lead the way. 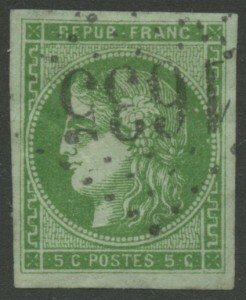 Mint and used stamps from France are also new to our inventory. Many, many collections and accumulations are being added daily to our inventory which are making their way from either the back room or Ian’s office to the sales floor. These have 4hC or 4jC numbers on them and are searchable on our website, although you will have to come see us to view them, because we have not done any scans to accompany them online.